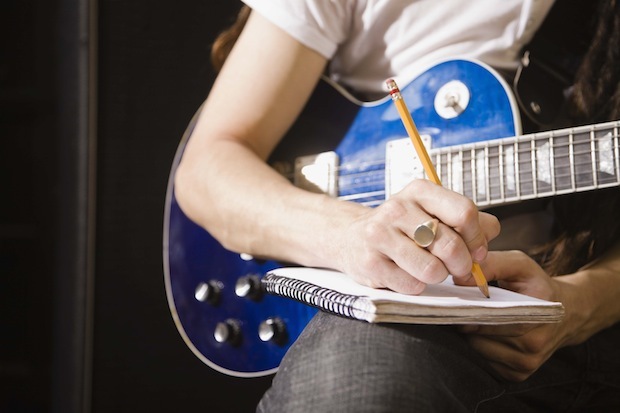 At the center of being a musician is perhaps its most difficult component: songwriting. Beyond writing about what we like, we also want our music to be powerful, to convey a message, to create palpable emotion. And with so many people fighting for recognition, how to come up with something perfectly unique, impactful, and lasting is the $64,000 question. Ed Vetri, the president and CEO of Wind-up Records (which represents acts such as The Griswolds and Strange Talk), is on the panel of judges for this year's International Songwriting Competition (ISC), a prestigious contest that gives away over $150,000 in cash and prizes and is renowned for its high caliber of both winners and judges. "ISC's panel of judges is the best of the songwriter community and the industry," Vetri says. "The experiences and diversity of the panel, including major songwriters and industry executives from both the recorded music and publishing side, give ISC a very diverse, experienced professional and thoughtful collection of opinions. It's not every day an aspiring songwriter gets their music heard by such a renowned panel of experts." Below, Vetri lets us in on how he reviews songs for ISC and distills his extensive knowledge of songwriting into three simple nuggets of wisdom. As an ISC judge, can you give this year's hopefuls some insight on what you look for during the song review process? We listen to a lot of songs, so make yours memorable! Focus on melody and try and create emotion with the lyrics. Write a memorable chorus that you can sing back. If you were on the fence between two songs that were submitted, what would make you lean one way or the other? The one I remember and sticks in my head! It would most likely be lyrically driven. What would you say is the biggest thing that separates a good song from a great song? A great melody leading to a memorable chorus, one that identifies the song and creates emotion. If you could distill everything you know about great songwriting into your top three nuggets of wisdom for aspiring songwriters, what would they be? Start with an emotion. Write from an emotional or purposeful place. Do rewrites. You can always improve a verse, chorus, or melody. Write every day. It's your job, so work hard at it. There will be trial and error, but keep plugging along. Apply to the International Songwriting Competition by September 10, 2015, and you could be one of 68 winners – including the $25,000 grand prize!